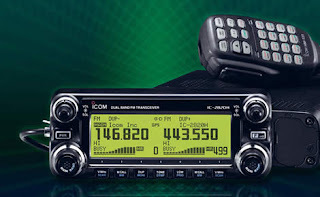 Icom has introduced a new VHF/UHF set onto the market. Model number is IC2820H and the link above will take you to see the specs for this set. Small bird has indicated that it is coming to a country next to us soon. The set looks cute. But how far can it go...max using repeater is within Peninsular Malaysia. So friends polish up your cw , take the test and go on HF. You will find the fantastic difference. Dont dream that cw requirement will be abolished in the near future.